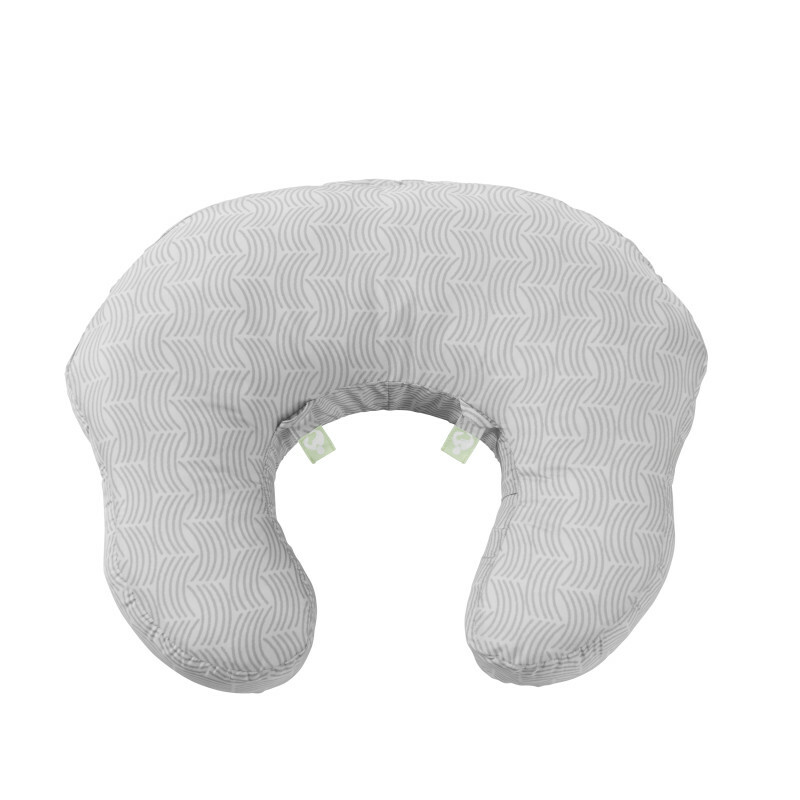 Made for mom with care and consideration, the Plenti™ Nursing Pillow by Ingenuity is designed to provide the perfect support for you and baby. Crafted with the help of an IBCLC, an International Board-Certified Lactation Consultant this pillow was created to make nursing and bottle feeding comfortable. Its simple design acts as a positioner that helps keep baby in place. During those late-night snuggles or early-morning fusses, the visual tabs of our Breastside Reminder™ System help remind you which breast you fed from last. Nursing from the fullest breast helps promote the healthiest feeding opportunities for your newborn. A removable cover means less clean up time for you — just toss the cover in the wash. Every gentle curve is made to help you relax your shoulders, arms, wrists and elbows. As your little one grows, the pillow can be also used for lounging, tummy time and sitting support. Dimension (in) 17" x 21.5" x 6.5"
Nursing pillow – Clean before use with a damp cloth and mild soap. Air dry. Do not immerse in water.Slip cover – Machine wash with cold water, gentle cycle. No bleach. Air Dry.